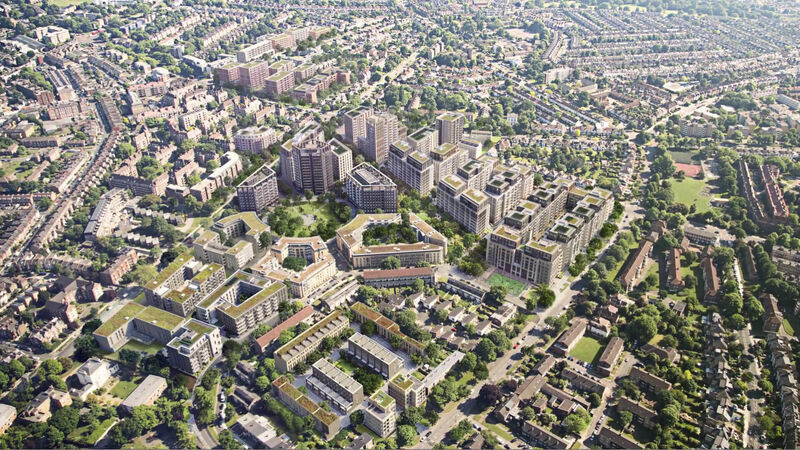 One of the largest and most multi-faceted projects of its type, Clapham Park will deliver almost 3,500 new or refurbished homes in this densely-populated South London borough. 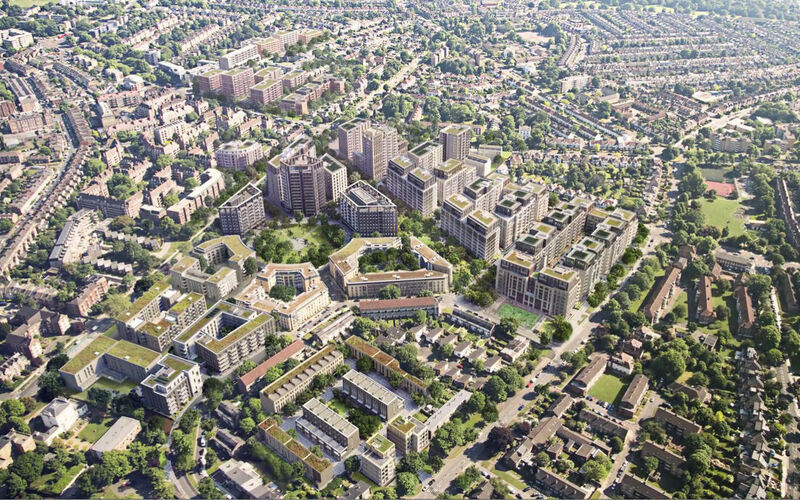 One of the largest and most multi-faceted projects of its type, Clapham Park will deliver almost 3,500 new or refurbished homes in the densely populated South London borough. 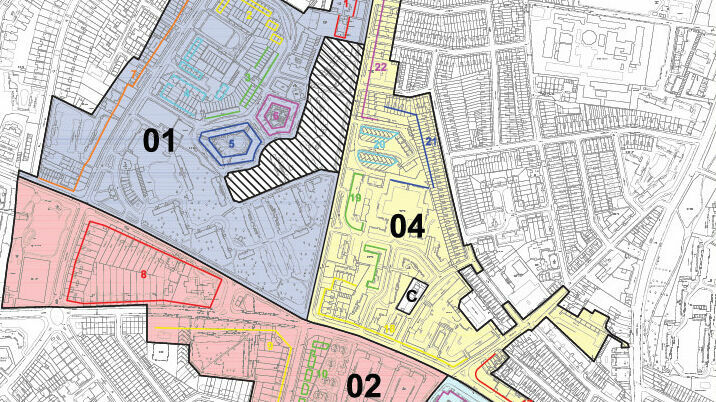 In addition to the properties themselves, the development required the provision of a raft of new facilities including a community hub and public spaces, as well as a new underground utility network. A massive site that required many teams and innovative approaches, this project was also significant for the extensive deployment of UAV or drone technology to rapidly accelerate the data capture process. Working as part of the design team with Ramboll, PRP Architects and Hoare Lea, our laser scanning, topographic and utility tracing teams worked across day and night shifts for weeks at a time to gather the data required to create an enormously detailed 3D BIM model. A massive site that required many teams and innovative approaches, this project was also significant for the extensive deployment of UAV or drone technology to rapidly accelerate the data capture process. 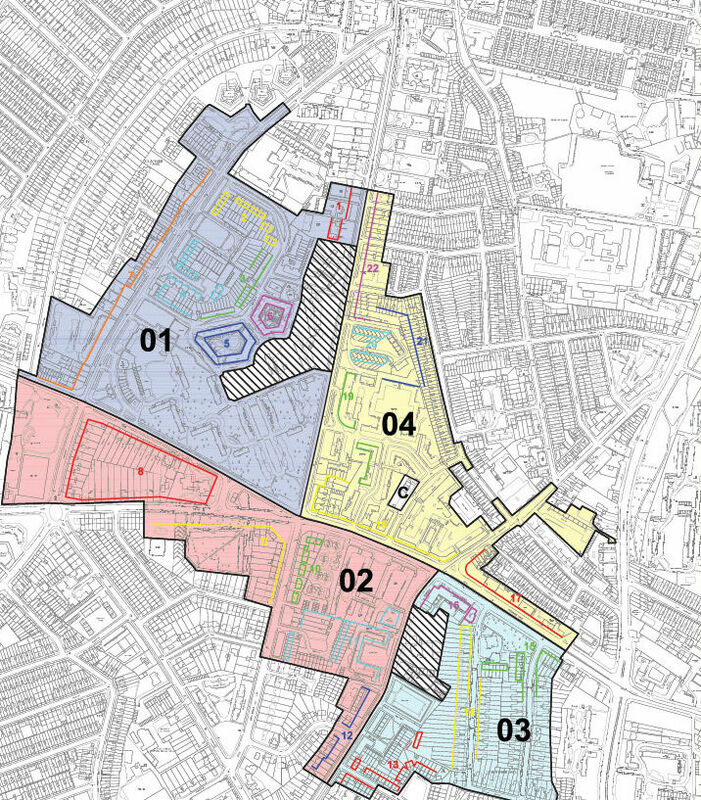 Having already successfully used UAVs to capture survey-grade data at a number of challenging locations, including the iconic Poultry Market at Smithfield, our dedicated UAV team spent a week surveying the entire 34-hectare site. Thanks to our advanced permissions from the Civil Aviation Authority and state-of-the-art UAV and camera set-up, our UAV team was able to fly at low level, capturing more than 20,000 high-resolution images. 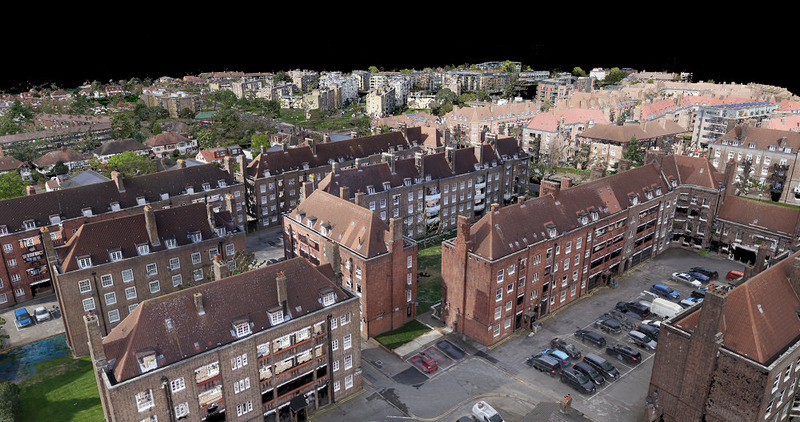 The survey data was then extracted from this photography rather than the usual laser scanners - this is known as photogrammetry and enables us to generate a coloured 3D point cloud that is then fed into existing BIM workflows. What would have taken 10 weeks using traditional survey methods was completed in just one week, driving massive cost and programme savings, as well as greatly reducing risk and disruption. BIM Aerial Model of Clapham Park What’s the Story? 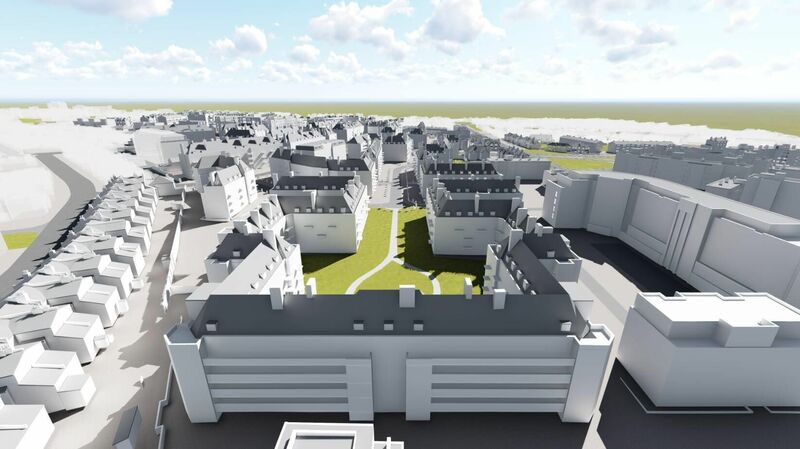 Due to the sheer size of this project, a volume strategy was also deployed in accordance with PAS 1192-2 so that manageable chunks of the model were delivered in an order agreed with the client. This staged delivery and improved project progression visibility added real value to the client and their design teams, helping to inform decision-making and de-risking the project. This is just one of the ways we try to add value to our client and their design teams. 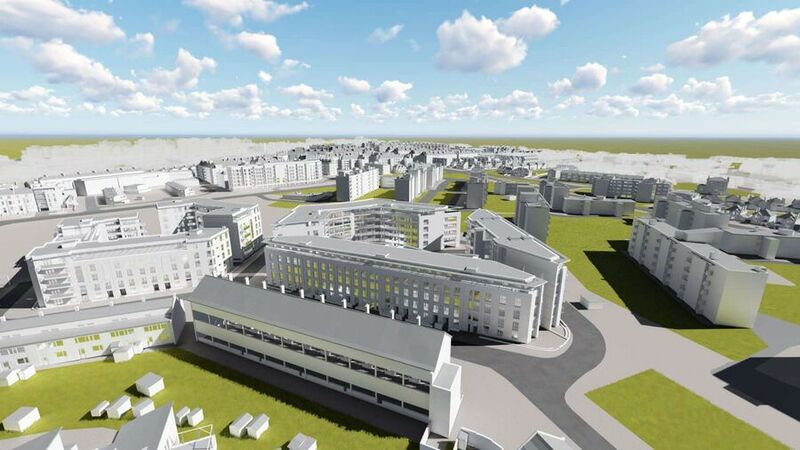 It is vital as a Scan-to-BIM service provider that we deliver lean and functional models; classification (Uniclass2015) and naming in accordance with BS1192 and BS8541 allows this and enables more versatile and controlled model management. 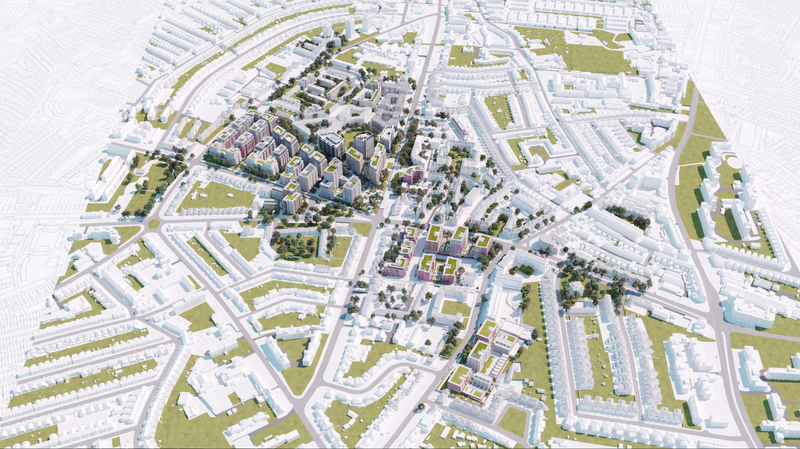 As one of the UK’s largest independent surveying companies Plowman Craven was uniquely placed to deliver on this major, multi-disciplinary scheme at Clapham Park. Multiple, specialist teams were deployed in parallel and robustly controlled. The project manager coordinated, tracked and reported progress, ensuring smooth transition between site and offices phases, and providing a single point of contact for the client. Our dedicated lead surveyor worked alongside the project manager providing technical oversight and quality assurance, ensuring the scope of works is adhered to. Early engagement with the design team on major projects connected those that utilise the deliverables with the delivery team to ensure requirements were met and exceeded. Start-up meetings with the client, consultant engineer, architect and M&E consultant defined the requirements, enabling us to deliver a comprehensive data set that fully informed the project team, facilitating informed decision making, de-risking the project.